When I was still starting to travel I will just book a roundtrip flight and tour one city or one country but now I’m learning to visit two or more places. It started last year when we celebrated our wedding anniversary in Bacolod, Iloilo and Guimaras. 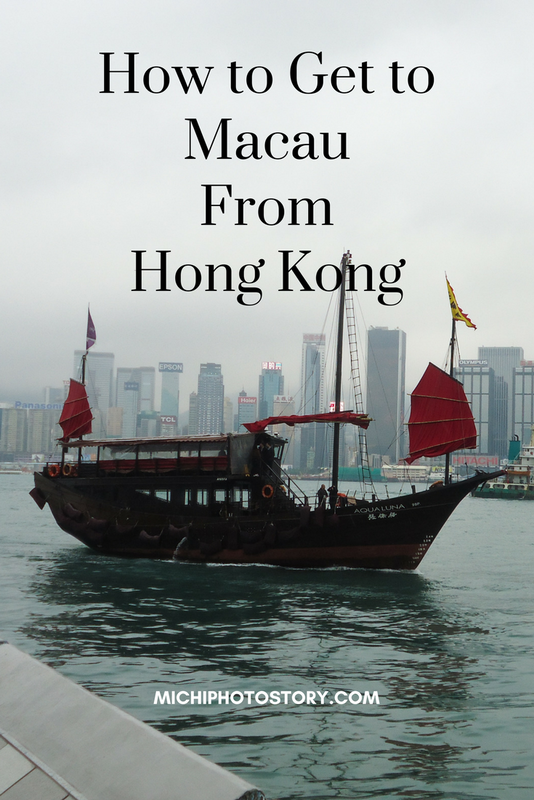 It was a four day trip but I was able to visit three places so when I booked our flight in Hong Kong, I booked Clark to Hong Kong then I’ve made another booking from Macau to Clark because I know I can go to Macau via ferry. Traveling in two or more places will give you more savings, we are aware that travel tax and terminal fee are not cheap so if ever you will go out of the country, as much as possible try to visit two or more countries or spend more days in that country. I realized that when we went to Kota Kinabalu, Malaysia, we don’t even had two whole days to tour the country and if I just book a 5-day trip I can still visit Brunei because there’s a ferry from Kota Kinabalu going to Brunei. 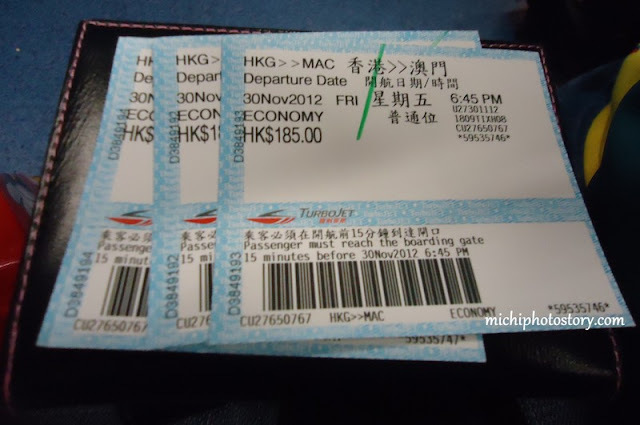 Anyway, there are three ferry terminals in Hongkong going to Macau, Sheung Wan, Tsim Sha Tsui and the Airport. 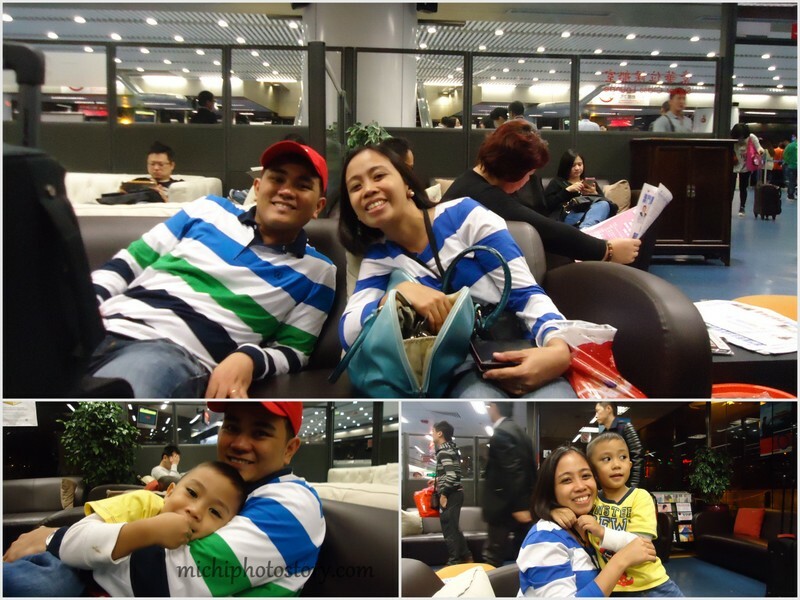 Since we are from Hongkong Disneyland we took the ferry from Sheung Wan Ferry Pier to Macau Ferry Pier. 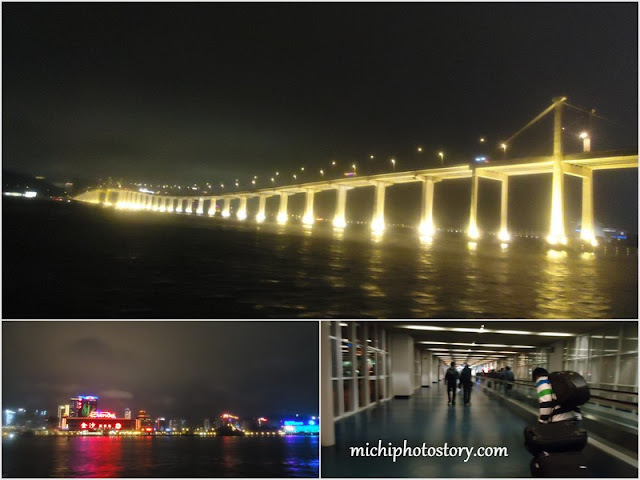 Take the MTR from Disneyland to Sunny Bay, then Sunny Bay MTR station to Hong Kong MTR station on the Tung Chung Line. Once off the station walk towards to Central Station, take the Island Line to Sheung Wan Station and look for Shopping Center where you will find Sheung Wan Ferry Pier. It was a long walk especially if you have kids in tow. 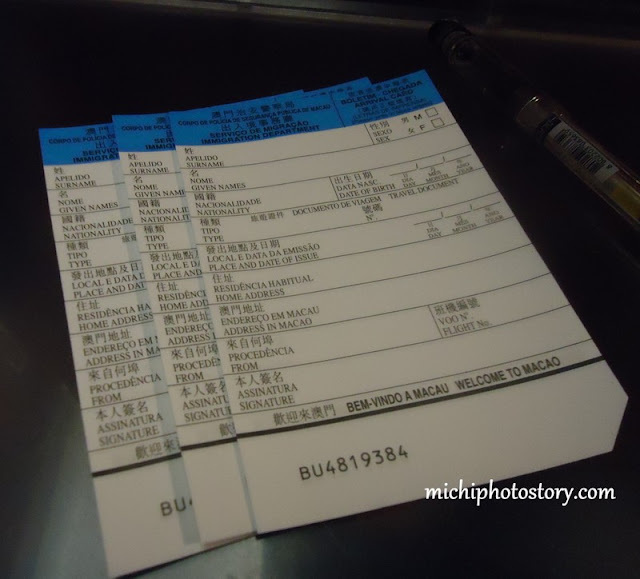 Since we’re going to leave Hongkong, I refunded our money in Octopus Card. There are several travel agencies in Sheung Wan Ferry Pier where you can buy your ticket but I bought my ticket in TurboJet Counter. I bought our economy ticket past 6PM and our trip is 6:45PM so we immediately went to the gate. We’re really walking fast because we’re afraid to miss our ferry. I filled out the immigration form and prayed while waiting for our turn. Honestly, I still feel nervous every time I need to pass Immigration Officer because I’ve read a lot of not so good experience with IO. It was like an amazing race trip because I have no idea how far the gate is but we’re not late. sarap ng upo namin dito, mali pala naupuan namin, nung nagtayuan lahat lumabas din kami, lounge area pala yun. hehe! dito pala ko tinuturo nung guy para sa seat number. hehe! magkatabi kasi e.
dito pala ang mga economy ticket. hehe! Macau has two ferry terminals, Macau Outer Harbour Ferry Terminal or Macau Maritime Ferry Terminal and Taipa terminal. 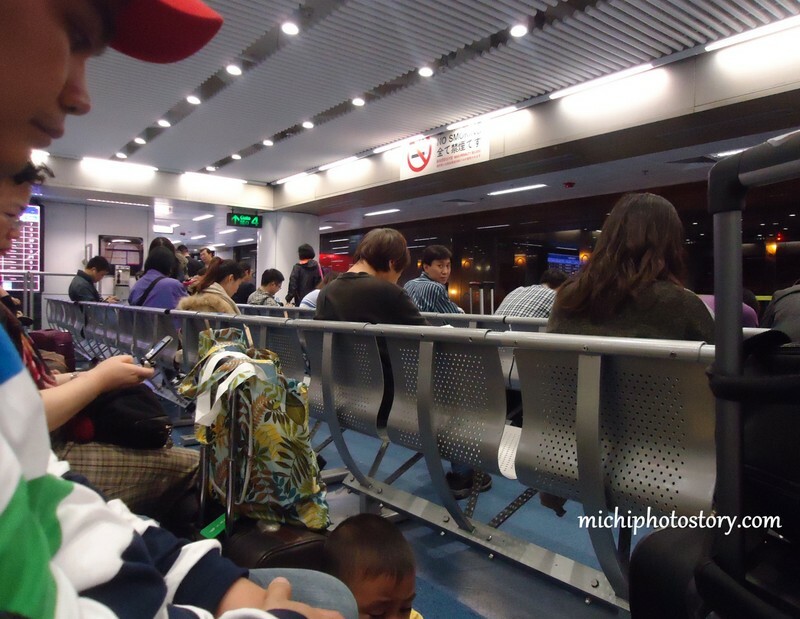 Macau Ferry Terminal is near Fisherman’s Wharf while Taipa Terminal is near the Macau Airport. 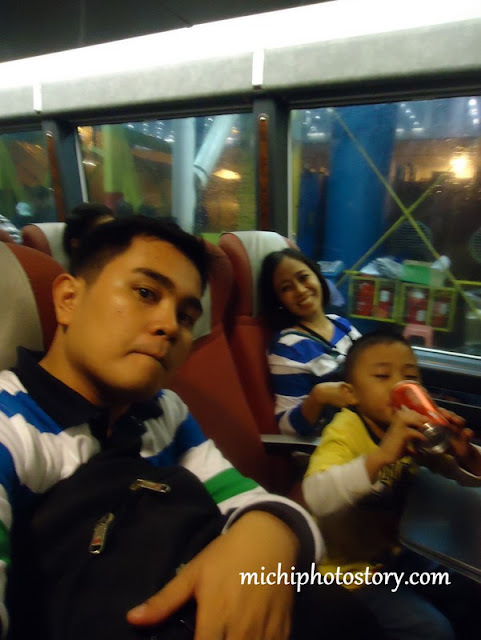 We're ready, we took bonamine to avoid sea sickness. =D I've read so many stories of dizziness, vomiting and almost end of life na daw nila yung travel so nagbaon talaga ko sis ng bonamine. wawa si hubby, kargador boy!.. hahaha! Hindi naman kami nahirapan, ewan ko si hubby. hehehe! Ang mahirap lang na part yung stairs pasakay ng ferry, binuhat niya kasi yung luggage pababa. Wow thank you for your reply! Isa lang luggage nyo? Naku 2 sa amin.. baka hindi nya kayanin.. Walang elevator or escalator? Dun sa pasakay ng ferry, wala ko nakita...Check mo yung last photo, yun lang dala namin. 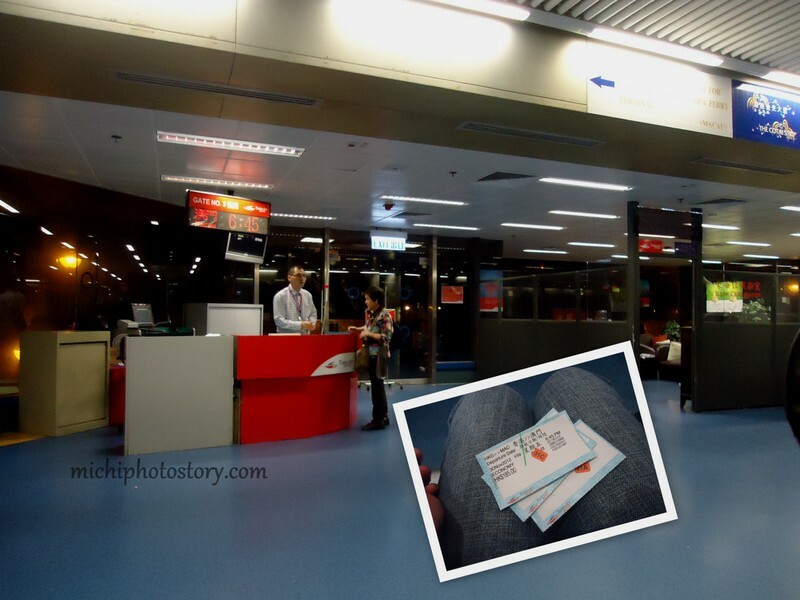 isang check-in and 1 hand carry luggage.